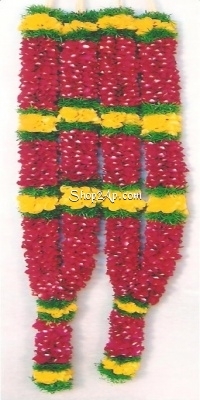 2 Red-Yellow Roses Petal Garlands Symbolizes enthusiasm, happiness and zeal. 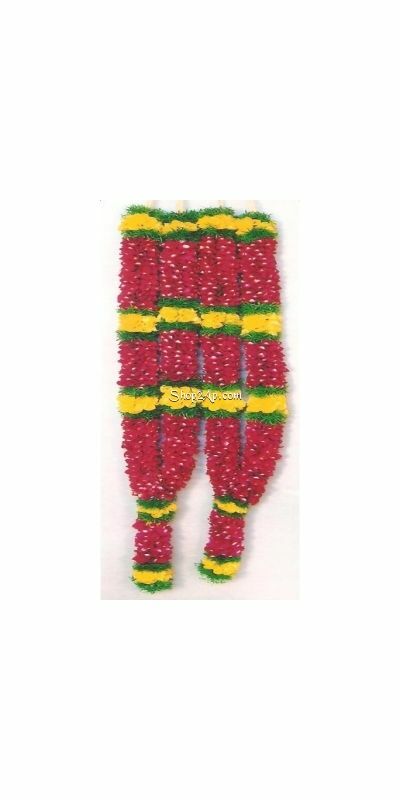 These flower garlands are used as a symbol of respect and used to adorn the statues of dieties. Garlands are used to honour guests when they arrive.